Oppo A5 has been launched in China, after weeks of rumours and leaks. 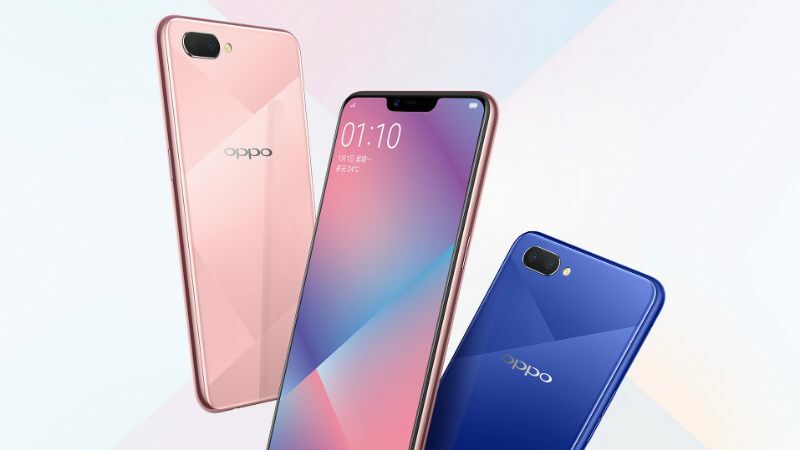 The latest model by Oppo features an illusion texture back panel that has been designed using a nano-scale microcrystalline technology. There is also dual rear camera setup, artificial intelligence (AI) powered selfie camera, and a display notch. The smartphone additionally comes in a variety of colour options and has a metal finish frame. A massive 4320mAh battery is available on board that is touted to deliver 14 hours of video playback or 11 hours of gaming on a single charge. The Oppo A5 price in China has been set at CNY 1,500 (approximately Rs. 15,500). The smartphone is currently available for pre-orders in China, while its sale will begin from July 13. Besides, it comes in Mirror Blue and Mirror Pink colour options. The dual-SIM (Nano) Oppo A5 runs ColorOS 5.1 based on Android 8.1 Oreo and features a 6.2-inch HD+ (720×1520 pixels) FullView display with an 19:9 aspect ratio and an 87.9 percent of screen-to-body ratio. The display panel is protected by a 2.5D curved glass panel. Under the hood, there is a 1.8GHz octa-core Qualcomm Snapdragon 450 SoC, coupled with Adreno 506 GPU and 4GB of RAM. The handset has a dual rear camera setup that includes a 13-megapixel primary sensor along with an f/2.2 aperture and a 2-megapixel secondary sensor with an f/2.4 aperture, supported by an LED flash. On the front, an 8-megapixel sensor is available with an f/2.2 aperture. The front sensor is powered by a list of AI beautify features and capable of recognising up to 296 facial features. Oppo has provided 64GB of onboard storage that is expandable via microSD card (up to 256GB). In terms of connectivity, the Oppo A5 has 4G VoLTE, Wi-Fi 802.11 b/g/n, Bluetooth v4.2, GPS/ A-GPS, Micro-USB, and a 3.5mm headphone jack. The smartphone also packs a 4230mAh battery and measures 156.2×75.6×8.2mm.